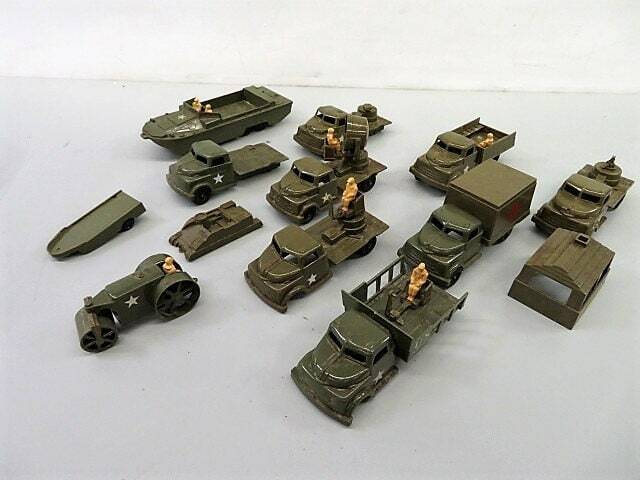 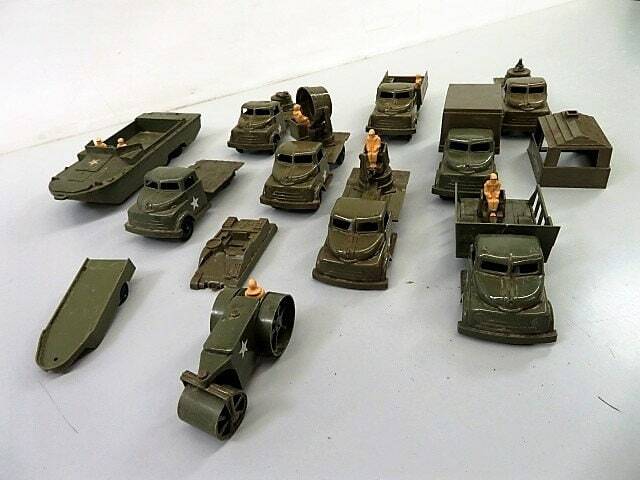 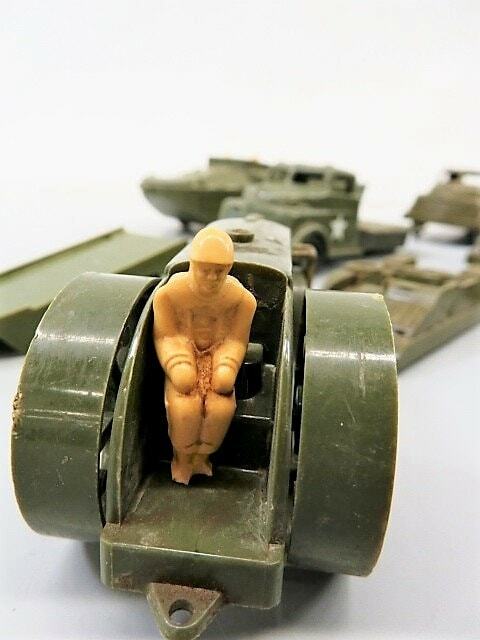 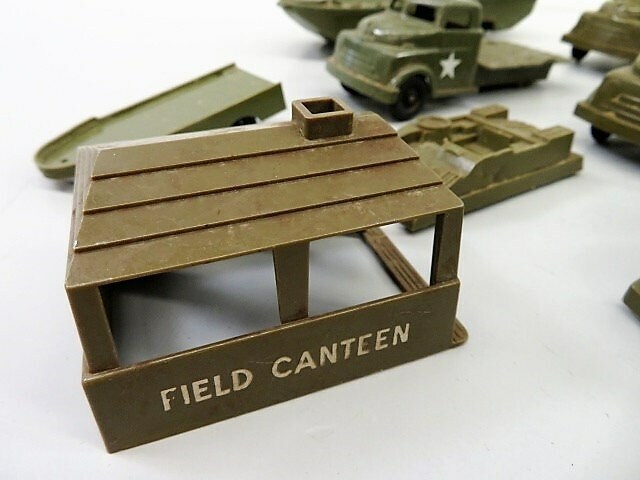 13 Pcs Vintage PYRO Plastic Army Toys, Lionel, 1950s. 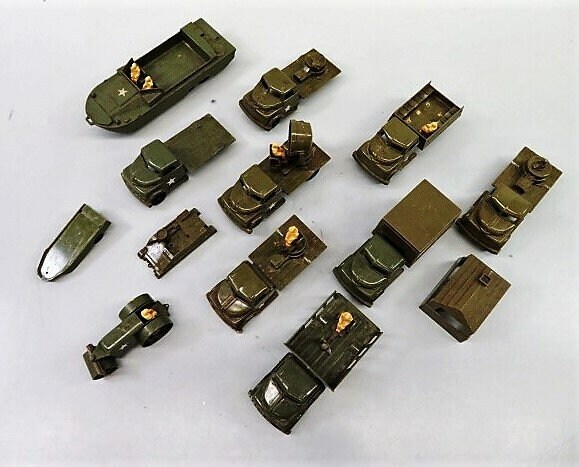 Nice lot with some complete, some parts donors. 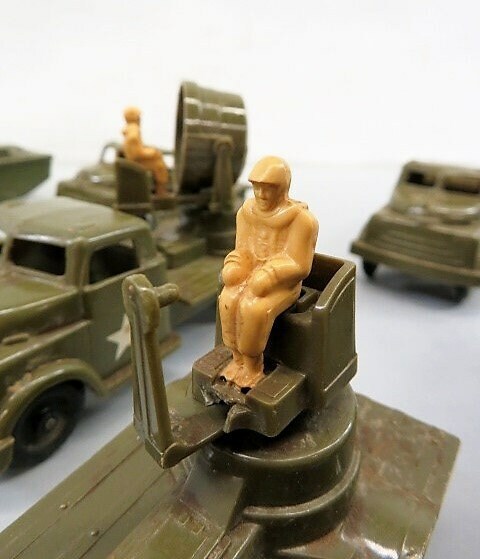 Nice Duck, roller, tank body, search light truck, several men, deuce and a halfs, Field Canteen, etc.